Gabriel Blackwell is the author of The Natural Dissolution of Fleeting-Improvised-Men: The Last Letter of H. P. Lovecraft (Civil Coping Mechanisms, 2013), Critique of Pure Reason (Noemi, 2013), and Shadow Man: A Biography of Lewis Miles Archer (Civil Coping Mechanisms, 2012). Find him on Twitter here. Edward J. Rathke: The Natural Dissolution of Fleeting-Improvised Man is an amazingly inventive novel. What made you begin with a fake letter by HP Lovecraft? Gabriel Blackwell: Thank you so much, Eddy. That’s very kind of you to say. I hope I’m not confusing things, but it seems to me that one can interpret your question one of three ways: “why a fake letter?” a question I probably won’t be able to answer intelligently, since form is always a little chicken-and-egg with me; “why H. P. Lovecraft?” which I hope is explained by the book itself (though I will say that one of the things that drew me to him initially was his reliance on interpolated material to help tell his stories—in a way, I’ve reversed his proportions until the story around those interpolations is as thin a scrim as I can make it); and “where—or how—did you begin?” I’ll try to answer the last one, even though it looks less like the question you asked than the other two. 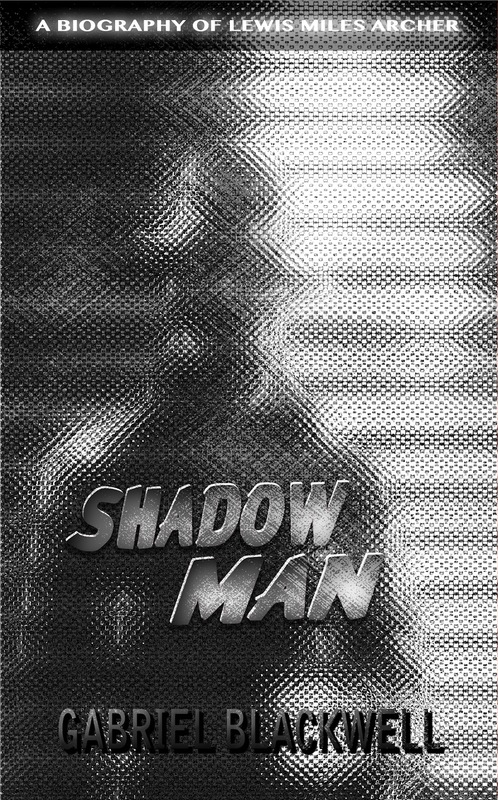 Shadow Man, my previous book, was very crowded. Lots of characters, lots of sources. That fit the story I was trying to tell. But that story’s continuation (in Natural Dissolution) seemed to me to require something different, more solitary. When the book begins, I’m already alone, trying to navigate the world through a letter and the few clues I can glean from it. Lovecraft was then a perfect subject: By the end of his life, when he was sick and unable to travel, almost all of his human contact came through letters. None of the biographies I’ve read suggest he had friends in Providence, where he lived, though he doesn’t seem to have been lonely, exactly. Still, it seems to me that perhaps one of the reasons there are so many interpolated texts in Lovecraft’s fictions is that he must have experienced so much of the world through text; how else could he write but in the way he had come to know the world? Again, that’s one of the things that drew me to him, though, in saying so, I realize I’m saying I’m not so much unlike him in that respect. I guess that’s also a part of this book. How to say this? It is … problematic, even to me, to be writing that I cannot remember not remembering something, as though the double negative of forgetting to forget ought to bring that thing back to memory. Instead what I seem to be saying in these endnotes is that I cannot—no matter how much evidence I present myself—I cannot recall that time in Providence, not even the time that I write I remember (or once wrote remembering), nor even the time in which I took down the words that record my remembering, the caveats that precede these endnotes, the words recalling also my forgetting. Instead, what I have is this manuscript claiming the proof of a ticket to Providence and a return ticket. In between, nearly a hundred pages with notes that I	wrote but cannot remember writing and which call nothing to mind for me. Is it possible to be in a fugue state within a fugue state? EJR: I love how the letter feeds into the footnotes narrative, but also how the footnotes remain separate from the Lovecraft tale. Where did the structure come from, and how did you format it for the final version? GB: The explanatory footnote—as opposed to the citation—is, I think, a form for enthusiasts. By its nature, such a footnote admits that its content doesn’t have a place in the text (if it did, it would be in the text), and yet the author has cheated his or her way into including that information. That speaks of passion or excitement or obsession, doesn’t it? You know you shouldn’t say something, it isn’t relevant to what you’re supposed to be talking about, and yet you say it anyway (I will have done so in this interview, I’m sure). The footnotes are in some ways the more personal part of any book. Of course they serve the main text, they explain something there that would not be easy or convenient for readers to find out on their own, outside of the book. Of course. But who judges what is common knowledge and what isn’t, what the reader can be expected to know and what can’t be taken for granted? Tilt too far in one direction or the other and you haven’t told a story—you’ve left a void empty or filled it with arcana. But to more directly answer your question, I composed the footnotes together with everything else. I revised as I wrote—not my process with Shadow Man, and not really my preferred way of writing in general, but I needed to know what the footnotes would underline to know what belonged in them. Also, it seemed appropriate to adopt a torturous method for this book, and, for me, trying to get each page right before moving on was pretty torturous. More alarming than my appearance and my smell—things I could somewhat suppress or ignore—was my voice, a weird barking that would erupt every now and again from my mouth, a furious cough of language and numbers that came suddenly and violently, as though I had vomited without even knowing I was to be sick. It alarmed me, this sound, this cavernous, graveled sound, a vibration in my chest and throat that I had no control over. It was my voice but dyed black, asphalted along with my skin, my computer, everything I touched. EJR: It sounds, in a sense, that you tried to write a book very different from Shadow Man. For me, every novel I’ve written has partly been in response to the form of the previous novel, and though I try to make it structurally or stylistically very different, almost as if I need to distance myself from who I was before. Did you feel a need to make Natural Dissolution different from Shadow Man, or was it more of a natural process? GB: You know, I don’t think the process of writing a novel is anything even most novelists would call “natural,” but, no, I didn’t feel a need to make Natural Dissolution anything other than what it is. I mean, I didn’t set out to write a book that was different from Shadow Man, I set out to write Natural Dissolution. Apparently, the word “difference” comes from the Latin “differre,” meaning to carry oneself from one side to the other. (Probably you knew that; I had to look it up.) In a sense, then, anything completed implies a difference on the part of the completer—it’s a very Heraclitean word. With that in mind, and despite my antipathy towards the idea of “try[ing] to write … different,” I think the process you’re describing is probably unavoidable. The writing of Shadow Man ferried me from one shore to another, and so Natural Dissolution naturally found me in a different place. EJR: Deterioration is a big part of the novel, and even though the Gabriel Blackwell of the novel becomes to fall apart, so too does Lovecraft. Why are there two Gabriel Blackwells in the novel? GB: I think initially that decision was a practical one. It’s fine to pretend that someone charged with handling (handling, not reading) massive numbers of documents would pick one out for special scrutiny or even bother to open its file cover and look inside, but as someone who has held such a job, I knew that wasn’t likely. Even if your job just involves a lot of photocopying, in my experience, the most you do for any one copy job is to make sure the pages are in the right order. In Natural Dissolution, all I’m doing is shredding things, so I needed some reason to look through a file and discover the letter, and, I mean, we’re all at least a little interested in what others have to say about us, right? I think I tried other solutions, other addressees, but none was as efficient. The existence of that second Gabriel Blackwell, to whom Lovecraft is replying in his letter, is also a way of explaining why Natural Dissolution exists—that is, why I’ve written it. Too many books take for granted that they ought to exist simply because they do. They leave unexamined their own purpose in the world. The results speak for themselves; careless, thoughtless narratives are everywhere, with the result that narrative—across all genres—is undervalued or even unvalued. Why would anyone expect otherwise? Garbage in, garbage out. I don’t say every book ought to explain its reasons for being—certainly not explicitly—but I don’t have any interest in reading books that don’t show some evidence of having been thought through, and so I wouldn’t publish one. 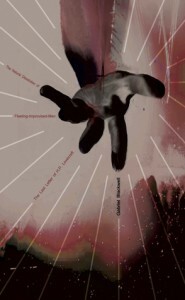 EJR: I like the idea of having to justify the existence of a novel, and thinking about that sort of thing always brings me back to the indie lit community itself. I often feel that we’re a community in constant dialogue with itself, where most of its readers are also writers. How do you view the indie lit community, and where does it fit in the larger publishing world? GB: I can’t see a problem with a community being in dialogue with itself. It seems like any community worth the name ought to be so. And one would hope that all writers are readers; readers first and maybe readers best. I am a reader, and I write more when I read more. But I don’t want to misunderstand you: are you saying that the only readers this community has are other writers? Perhaps all readers are writers. Who’s a writer? So far as I understand it, most books, whatever community one puts them in or considers them to have come out of, are only ever read by relatively few people (YouTube videos of funny dogs typically have a much wider audience than anything on the New York Times bsetseller list, as does the New York Times itself, for that matter). I might be wrong, but it often seems to me that books that sell well are, perversely, less frequently read than books that don’t sell well, at least per copy sold. Many of the best-selling books now are a kind of conceptual art: they are sold on their concept. The idea is all of the substance of the book, by which I mean: all of the author’s and the editor’s energies have gone into the thought behind the book, its concept. Very little energy has been expended in writing the book, and even less energy will be expended in reading it. For the consumer, the book itself, the physical thing, is secondary, a token. You buy it, put it on a shelf, and take it to Goodwill when you move, or else you fetishize it. If there is a community or even just a group or audience anywhere for whom books are still written to be read, whether we call it the indie lit community or something else, I think I’d want to be in that number. EJR: After Matt Bell’s departure, you took over as the fiction editor at The Collagist. What’s the best part of editing there, and how has it influenced you as a reader/writer? GB: Editing for The Collagist is one of the few things in my life about which I never have to wonder whether it’s worthwhile. As for influence, well, I am the writer I am, like it or not. I think it’s fair to say that I’ve learned a great deal about editing by editing. I’ve also learned a great deal about writing by writing, and a great deal about reading by reading. Not to say those things are all perfectly compartmentalized in my mind, but I don’t want to approach editing as something that will make me a better writer. That seems like a kind of mauvaise foi to me.